When Does Daylight Saving Time End In 2017? Learn > When Does Daylight Saving Time End In 2017? Daylight Saving Time – also referred to as “Daylight Savings” or “summer time” – starts in the summer when the hours of sunlight are usually longer. During the time DST is not observed, during the winter, it is considered standard time. The dates at which DST become active differ depending on the country and region where it is being established; some areas don’t even observe it. In the United States, for example, Daylight Saving starts on the second Sunday of March (this year it was March 12), so at 2:00 AM on that day the clocks were pushed forward an hour to 3:00 AM. It ends on the first Sunday in November (which is Nov 5 this year) at 2:00 AM, so at that time the clocks will be turned back one hour to 1:00 AM. In some territories, when Daylight Saving is active they switch to a completely different time zone than the one they consider their “standard” zone. In the United Kingdom, they switch to British Summer Time or BST from Greenwich Mean Time (GMT) instead of altering their clocks. Benjamin Franklin, the renowned inventor and politician from the US, first proposed the idea of Daylight Saving in 1784. However, it didn't start making waves until 1895 when a New Zealand entomologist named George Vernon Hudson came up with a similar proposal for a two-hour Daylight Saving time change. It was established to allow certain areas of the world longer days with more available sunlight. Today, there are arguments supporting Daylight Saving, as well as arguments against using it. Some claim Daylight Saving is beneficial for energy conservation, and that there are fewer road accidents and injuries while it’s active. However, there are studies that argue the opposite, one of which purports that DST can negatively affect one's health due to a decrease in total sleep and disruption of our body clocks -- resulting in more heart attacks. When Does Daylight Saving End? Again, the start and end schedule for Daylight Saving is different depending on what country and part of the world you are located. 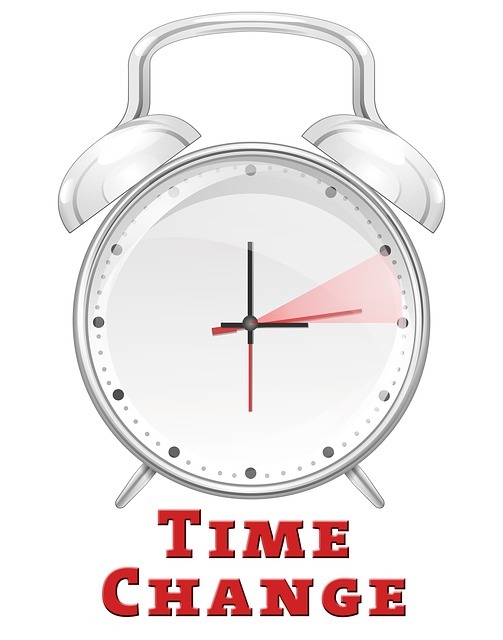 DST Ends: Sunday, November 5 at 2:00am. Turn your clock back to 1:00am. DST Ends: Sunday, November 5 at 1:00am. Turn your clock back to 12:00am.